Home MSP business	Are your Trimming Your MSP Business Customers Like a Pumpkin Patch? Are your Trimming Your MSP Business Customers Like a Pumpkin Patch? Many IT providers are considering whether some of their MSP business clients should get fired. In fact, this is a common topic at IT trade shows. For many years, I believed this idea was popular among IT consultants simply because of their arrogant nature. After all who, in their right mind, would fire a customer that was paying their bills on time. 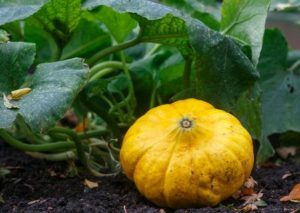 However, I started to change my mind after reading a book called The Pumpkin Plan, which offered pumpkin farming as a metaphor for how to run a computer business. Let’s consider who should be fired, why and the benefits you get from acting! One of the litmus test offered in the book is to ask yourself if you could bear to be stranded on a desert island with each of your IT clients. This is a very telling question because at first you might think as I did that this wouldn’t be no problem until you start visualizing each client and picture yourself there interacting with them every day. I have no doubt in my mind that if you went through this mental exercise with each of your clients that you would stumble across one or two that might give you a twinge of irritation. This is where you begin to ferret out those customers that potentially should be jettisoned… The other inquest is to consider your emotions when that same irritating client phones in to your office to speak with you. Do you experience a moment of dread as you think of all the past negative interactions that have occurred? These are both primary indicators that point to problem customers that should be considered for the chopping block, but why? Why They Should Be Fired? The truth expressed in the book is that problem clients drain your MSP Business resources. Think about one of your trouble clients and get a good visual of all the resources this customer is single handily eating up from your personal time, help desk hours, onsite support hours etc.… Most of the time these customer service nightmares can all be traced back to one fundamental problem and that is that these clients never bought in to your IT expertise. This means they second guess your recommendation or flat out refuse to heed your warnings and advice. The IT problems begin to crop up when the consequences to ignoring your IT support advice come home to roost! The one similarity I have discovered in all our problem clients is that none of them trusted us completely at the outset of our MSP marketing engagement. I believe computer consultants have the exact same struggle as either their clients love them or distrust them. Of course, distrusting clients do pay their bills on time but they come with a lot of customer service baggage! Therefore, non-believers should get the Ax! The bottom line is that just about every MSP Business has some troublesome clients they should consider firing and the main reason they are trouble is because they don’t believe. You shouldn’t fear the loss of income from dumping these non-believers because it will be made up by growing your happy customers larger and getting far more referrals overall. Since this principal is counter-intuitive you might want to order a copy of The Pumpkin Plan and read it yourself! What Can You Learn About IT Marketing from Don Draper of Mad Men? MSP Business Advice: Panic Can Be Contagious!